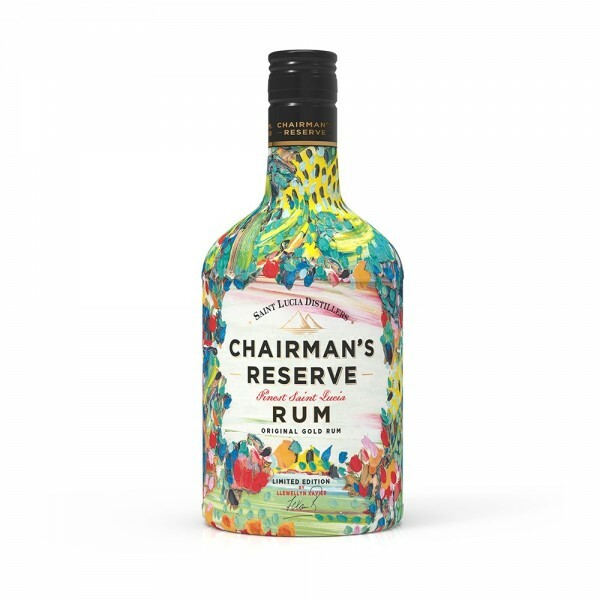 Renowned rum distillery, Saint Lucia Distillers celebrate the art of their countries premier artist, Llewellyn Xavier with a beautifully eye-catching, limited edition Chairman's release. Loved by many for his dynamic and vivid canvasses which mirror the light and colours of Saint Lucia, Xavier has created a masterpiece that pays homage to a unique collaboration between great visual art and passionate rum making. As beautiful on the inside as it is on the outside, expect notes of raisins and tobacco with warming hints of spice and wood coming from the oak casks the Rum is aged inside.